Bootleggin BBQ is Officially Above Average. 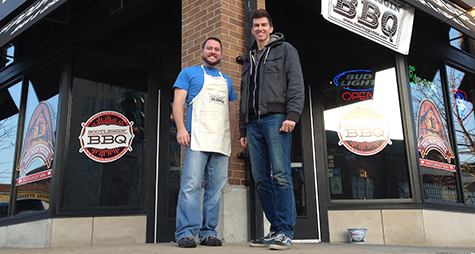 Congrats to Brent and the success of his new joint, Bootleggin’ BBQ! You can read a write up that Sauce Magazine did on them HERE! 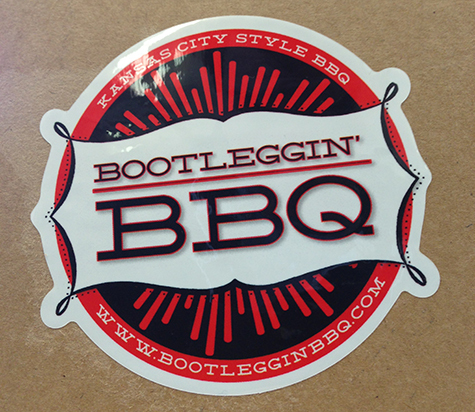 We got to do Bootleggin’ BBQ’s window signage and stickers after meeting Brent at a Treehouse Networking event. Good stuff!